Sláinte Mhath! Or in other words “Happy Burns Night”! Aye, it’s January 25th, the day when Scots — and Scot-ophiles — everywhere celebrate the birth of famed Scottish poet Robert Burns (1759 – 1796). A fascinating tidbit from Wikipedia: While Burns Night generally coincides with the poet’s birthday, the celebrations may “in principle” be held any night of the year. Nice to know that if you ever decide to hold a Burns Supper in July, you won’t face fines or jail time. You will, however, run the risk of a hangover beyond anything you might experience after even the rowdiest July 4th barbecue. Burns Night tends to be held once a year, because most of us wouldn’t survive if it happened more often. In some ways, Burns Night resembles Thanksgiving in the United States. There is no retail component, so no gift giving is required. And there’s an emphasis on food and drink. But at its core, Burns Night is all about gratitude — Scots’ gratitude because they get to be Scottish. The basic meaning? Haggis is the most Scottish of Scottish main courses, and it deserves a grace that’s eight stanzas long (i.e. as long as my arm). Not a fan of stuffed sheep’s innards? Go for extra helpings of neeps and tatties (turnips and potatoes) washed down with single malt Scotch. Eventually that haggis will look and taste like Niman Ranch tri-tip. Trust me. Alas, this year Burns Night fell on Wednesday. Hump Day. Whole Foods was fresh out of haggis. And without haggis, neeps and tatties are nothing more than… vegetables. So I made due. I ate whole-wheat pasta with leftover pesto and parmesan, then took a wee peek at my Penguin Classic “Selected Poems of Robert Burns”. I listened to “Sunshine On Leith”, an ode to Scotland by The Proclaimers. 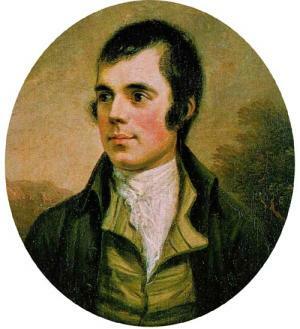 And I marked my calendar for January 25, 2014… when Burns Night falls mercifully on a Saturday! Believe it or not, vegetarian haggis is now widely available in Scotland (I hear you say, ‘What’s the point if it doesn’t have all the gribbly bits’). I miss haggis. Is the Whole Food stuff any good? Does any place ever serve it over here? I actually was jokIing about that. Not really seeing haggis being a big seller at Whole Foods. But wonder if the have the Veggie versoin that Sean mentioned?